The light waves of the water call your name, but this moment radiates with perfection. You prefer to stay dry, seated, and comfortable right now. And your new Element Square Rocking Chair has everything to do with your desire to never get up. All the comfort of our Muskoka Chair with a silky-smooth rocking feature that’s as relaxing as the calming waters before you. 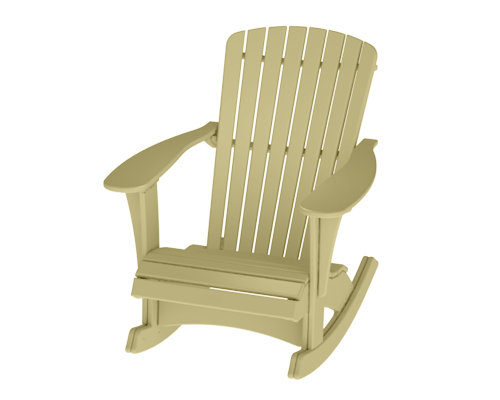 Built with the same high-end craftsmanship as our Muskoka Chair, the Element Square Rocking Chair is available in a variety of colours to match any décor.